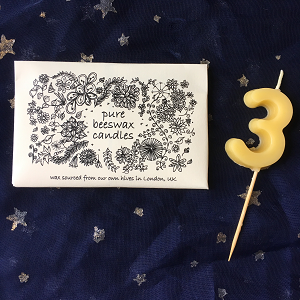 Number candle hand made with pure beeswax from our own hives. 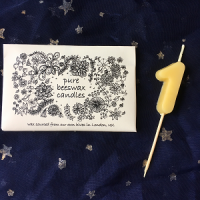 Perfect for birthday or anniversary cakes. Burns with a beautiful soft light which is ideal for flattering photographs. 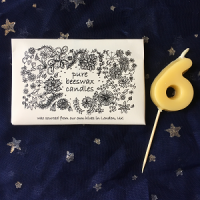 They have the simple, natural smell of beeswax. 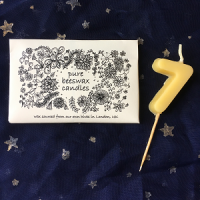 The shade of the wax may vary slightly between candles as the colour depends on which flowers the bees have been foraging on at the time it was produced. 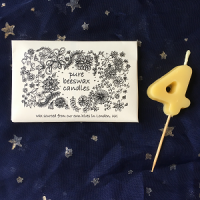 The number is approximately 4.5cm tall.